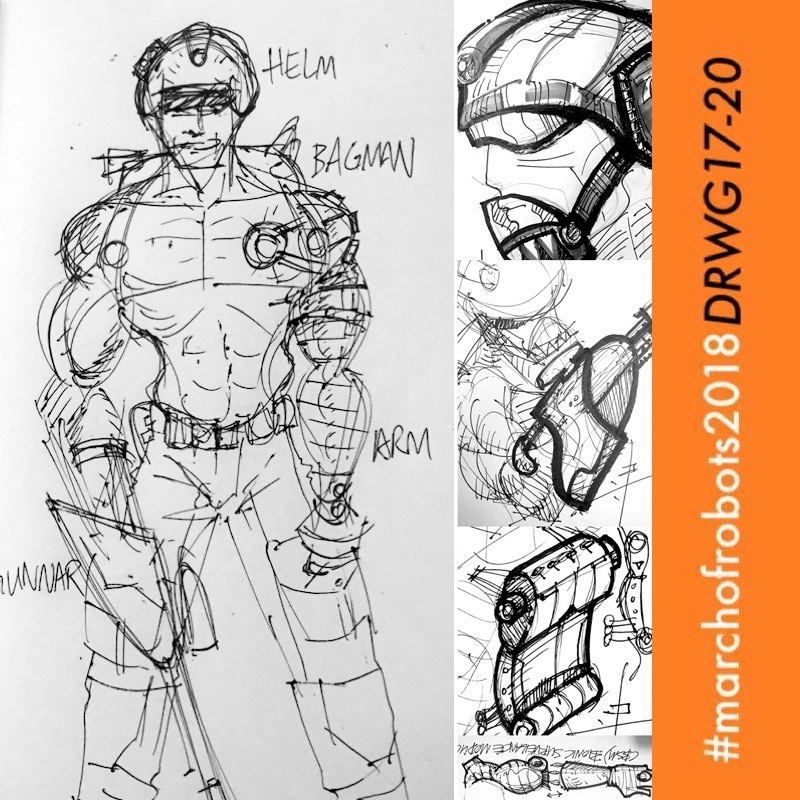 I'd "deviated" from my robot-sketchery (but tagged #MarchofRobots anyways, as I am shameless :p) to delve into a project I had hoped to restart, from a custom 1/6 from before 2014 (Image below): "ROGUE TROOPER" from 2000 A.D.! For the purposes of this sketch challenge, and as well to "spice" things up since my last attempt, was to add a 4th aspect to the "robot" items - which previously included "HELM" (the helmet"), "GUNNAR" (the rifle) and "BAGMAN" (the backpack"), and now included a robot "arm"! The (original) concept for these builds, are that each robot item possesses their own robot-consciousness, and are in conversations with and advise the Trooper (whom I am going to call "Blue" here, because "Mr Obvious") during missions - which I'd always liked about the character!